Facebook friends often provide useful links especially when there is a shared interest that made you connect on Facebook. 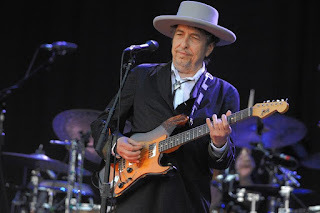 Scott Warmuth is certainly a Bob Dylan fan extraordinaire as he has been referenced in the Dylan fanzine ISIS, Today he made a link to selections from the forthcoming CD set called Triplicate. It will be released on March 31, but I am sure that radio stations like WFUV will start to play these cuts. Anita Bonita is a Facebook friend whom I met at one of the oldies meets and greets. She is best known as a voiceover professional. She made a link to an interview of Dylan by Bill Flanagan. It is very unusual when Dylan give a lengthy interview that is quite forthcoming. Since it is on the BobDylan.com website, it really means that he wants to communicate this with his fans. It is very rare when he gives an interview on radio or TV. I wish that the late Pete Fornatale would have interviewed him back in the 60s or 70s.